1 Bedroom House To Rent in Sheffield for £525 per Calendar Month. As you pull up on Bracken Hill yo appreciate this block or terrace houses which have a cottage style feel to them. With a small flowered front garden there is access into the living room but more commonly residents go around to the back of the property past the garden with shed and use the entrance directly into the kitchen. As you enter the property, you will get the homely feel that this property provides. The kitchen has modern L shaped wall and base units in a light wood style with dark worktop and gas hob and electric oven built in. Just under the stairs is a unique archway which at present is set up with a small breakfast bat and under counter fridge freezer however this can be removed to accommodate a tall fridge freezer if this is what you currently have. The lounge has laminate flooring and is spacious with feature fireplace. On the first floor is the bathroom to the right with large walk in shower cubicle, sink, w.c and heated towel tail plus built in cupboards for storage. There is access to a good sized loft via the bathroom with pull down steps for easy access. The bedroom is spacious with the original fireplace left as a feature and two double fabric wardrobes available to you if you would like them. 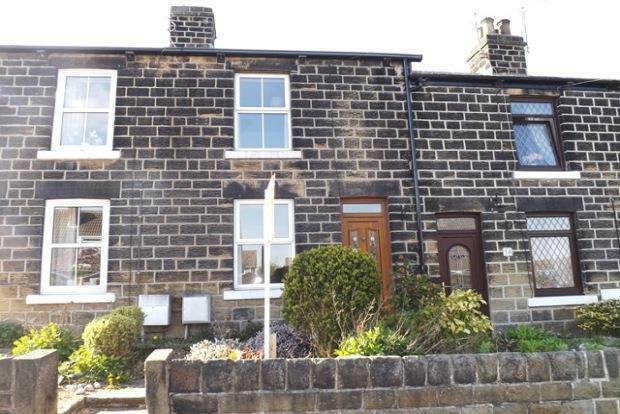 This area is highly sought after due to its quiet neighbourhood and location being close to motorway access, trains available at Chapeltown regular bus routes and being just a 20 minute drive from the city centre. This would be an ideal home for a single person or couple as a first home or downsizing.